She’s so proud of her TEN puppies. No one can say for certain what life had been like for Melody before she was surrendered to a Texas animal shelter last month, yet another unwanted pup discarded by her owner. But the dog's frail and emaciated condition hinted that hers had been an existence wrought with neglect. There is no doubt, however, about what inspired Melody to overcome the sad hand she'd been dealt. 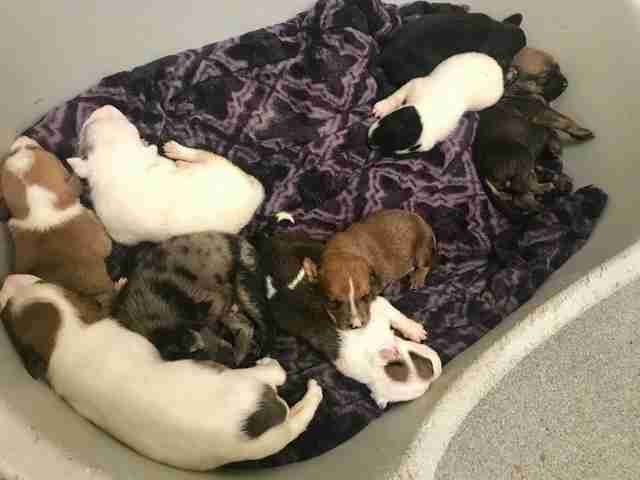 Melody had recently given birth to 10 puppies — an adorable litter surrendered to the shelter along with her. Despite being severely underweight herself, Melody had made sure her babies were well-fed. When Patti Dawson, who runs Dallas DogRRR - Rescue.Rehab.Reform, learned about Melody's plight and saw her sad, soulful eyes, it struck a nerve. "A friend of mine who works at the shelter sent me her picture; she knows that I have a soft spot for the mamas at the shelter," Dawson told The Dodo. "I just couldn’t stop thinking about Melody and her puppies. Her will to survive and take care of her puppies, as skinny as she was, is amazing." That's when Dawson decided to help. 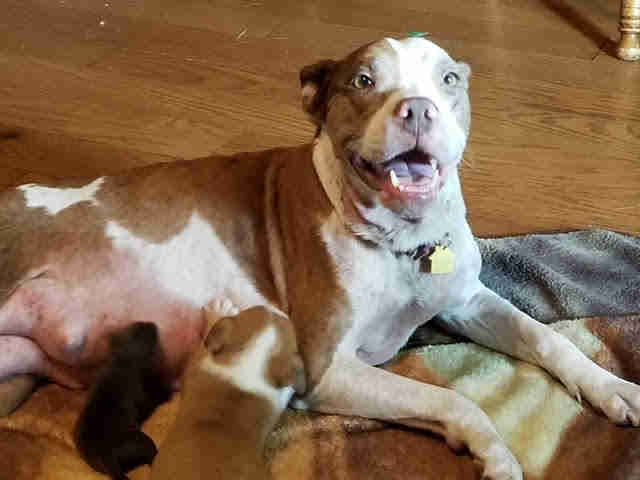 Being a mother pit bull, Dawson said, put Melody at a distinct disadvantage when it came to finding an adopter at the shelter; once her puppies were weaned, Melody's days were numbered. "She was nearing her deadline," Dawson said. "So I put a plea out on Facebook looking for a foster. 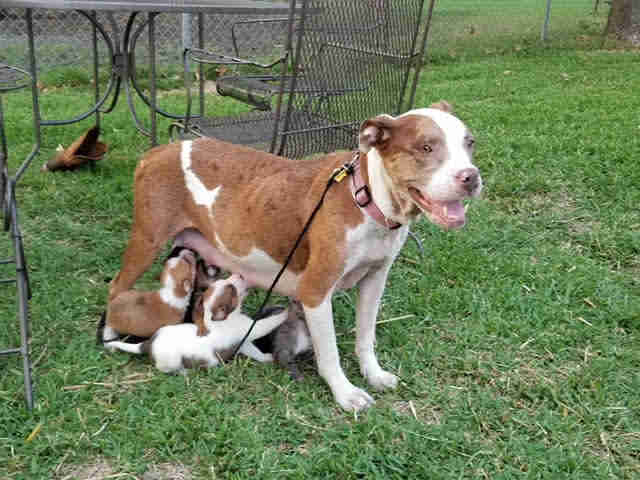 We had a foster that ended up stepping up for her and the puppies." And that's when everything began to change. After moving into her new foster home, Melody transformed in both body and spirit. 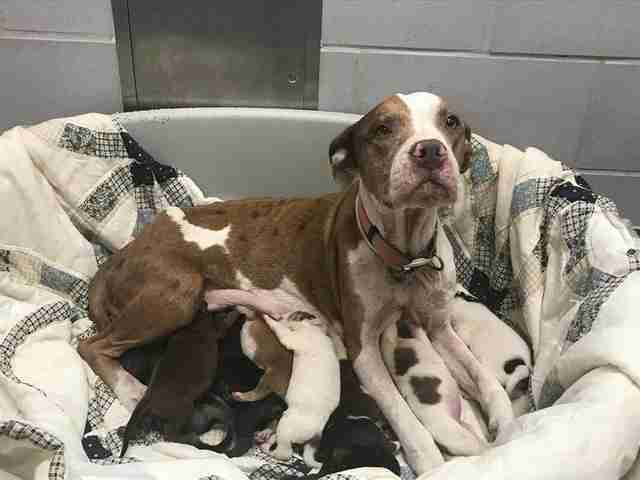 She knew she was safe, and that her puppies were, too. "They’re thriving," Dawson said. "Melody is adjusting to the home and putting on weight. Her puppies are good and chunky. The transition was perfect." 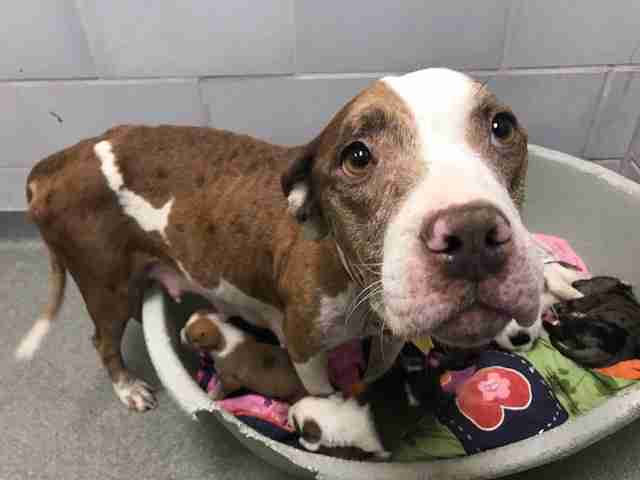 In time, Melody and her puppies will be available for adoption through Dallas DogRRR, an opportunity made possible thanks to those who gave the formerly unwanted family a second chance. But Melody's story is far from unique. There are countless mother dogs in shelters with their puppies across the country — each of them waiting for someone to help. Thinking about becoming a foster parent to a needy pet? Here's everything you need to know.